Made for the fire/rescue professionals, the Assist features a carbide glass breaker, sure grip FRN handle, 80% serrated blade, VG-10 high-carbon blade steel, survival whistle built into the handle and wire clip. 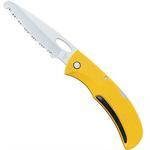 The 3 1/2" Sheepfoot blade is VG-10 steel and fully serrated. On the Blue handled model there is an inch of PlainEdge blade at the tip. The FRN handle has a volcano grip. The blade steel is now VG-10 and fully serrated with a sheepfoot tip. It has a larger hole with texturing behind it and the FRN volcano grip textured handle. The E-Z Out Rescue features a blunt tip design on the fully serrated sheep foot stainless blade that makes this knife safer to use in situations where you don't want to risk puncture. 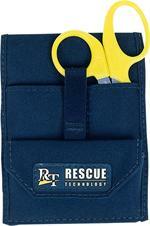 Features a yellow handle with black KratonÂ® non-slip rubber inserts. The Blur's handle is built from anodized 6061-T6 aluminum with "Trac-Tec" inserts for an extremely secure grip even in the most damp or slippery conditions. Safer than a knife when used around ropes. Safety bandage tip. Stainless steel blades. May be placed in autoclave. 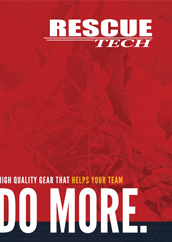 Cuts clothing, ropes, or harnesses. Stainless Steel blades with polypropylene handles. 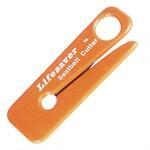 A lightweight seat belt cutter. Will easily cut through webbing and cords. 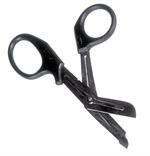 Manufactured from high impact plastic with hardened stainless steel blade.